Here’s an interesting little mini mechanical pencil. It measures 77mm long, (that’s pretty much smack on 3” for non-metric folk), and the body is 5mm square section. It’s a nice shiny golden colour, but no, it’s not gold. Or you can pull it out of the body… Looks rather smart with that lined pattern. Quite classy really. I don’t know the correct name for that pattern – perhaps light godron? The eraser is unused but rather old and hardened, and stuck tight in the body. Anyway, the pencil is a tip feed as you would expect from an older 1.18mm screw mechanism mechanical pencil. Right, so much for that company history and unpaid advertorial. What exactly is my mechanical pencil? 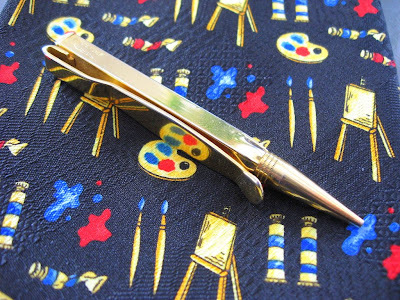 A few vintage and antique dealer websites show this pencil and most describe it as a mechanical pencil tie-clip. 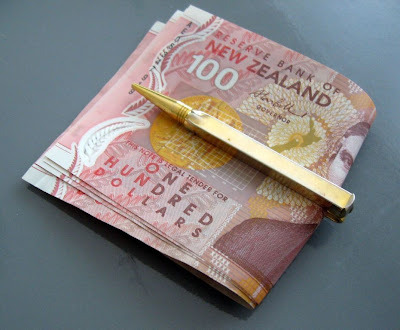 Others say it’s a mechanical pencil money-clip. Ha! 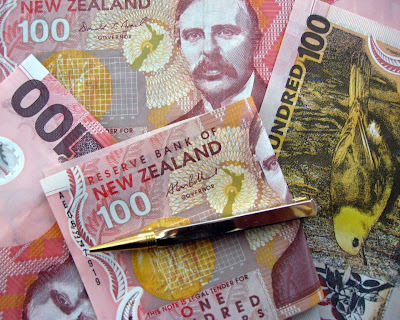 I hope at least some of you appreciate that I had to dig my ties out of storage, and go to the bank especially for those shots - I don’t normally carry any Rutherfords in my wallet. Some unkind people have suggested moths are more likely in my wallet. How rude! The cheek of them! In case you haven’t noticed, most photos in this posting are clickable for hi-res. 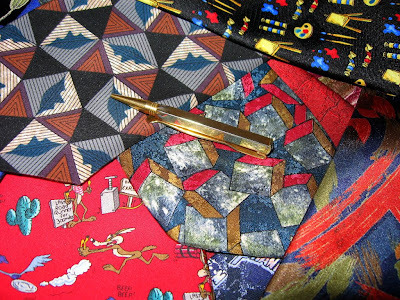 Yep, revel in the sartorial elegance of those ties. 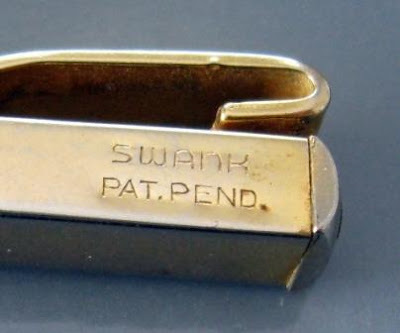 Now, those sites mentioned above usually state the pencil is marked U.S. PAT. 124227 and some claim known provenance back to the 1940 - 50’s from Granddad. My pencil says “Pat. Pend.” so it presumably predates that. Some sites claim it dates to the early 1900’s. Anyway, however old it is, it’s a nice little novelty pencil and I’m glad to have it. A month ago I installed a ClustrMap counter and today it has its first 1,000+ Visitors dot on it. For the record, London was the location of the first 100+ Visitors dot, but if the dots had names, then the first 1,000+ would be “Los Angeles”. The epicentre of mechanical pencilness? Well at least the epicentre of my blog viewers. Somehow I imagine the true epicentre is rather closer to Tokyo than LA. 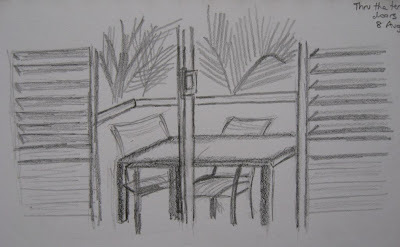 Regular readers of this blog will be aware that I recently had a little overseas holiday. In the past I have often taken mini pencils as part of my travel kit but this time around I thought to myself that surely international travel was one of those occasions when one should consider a multi pen. So I swept aside the usual contenders and grabbed the Papermate PhD Multi that was lurking around in my office. 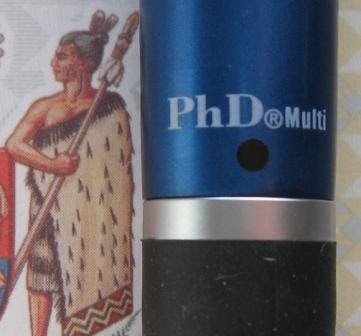 The Papermate PhD Multi has three tips to select from, and a quick bit of web-time lead me to the conclusion that Papermate offer the PhD Multi in two formats. 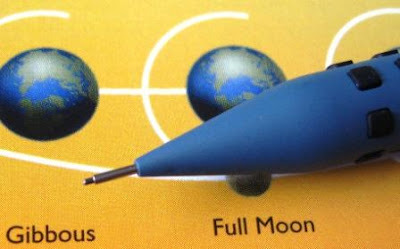 The first format is ballpoint pen, mechanical pencil and stylus. This is the only format mentioned on the Papermate website. 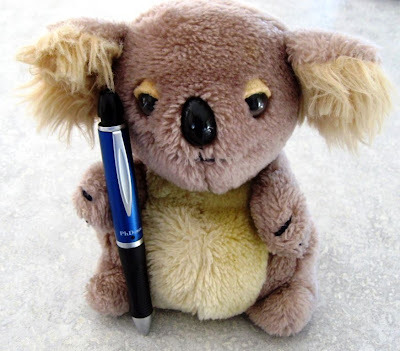 However, there is a second readily available format, namely two ballpoint pen tips and a mechanical pencil tip. The ballpoint pen colours available are black and red, but 0.5mm seems to be only the mechanical pencil option. My PhD is this second version – two pens and a pencil. One thing I do not usually cover in my reviews is the long-term reliability and durability of a writing instrument. That’s because I’m usually only using the review item for a week or two, and taking good care of it, so that I can put it back into my collection in “as new” condition. So, long term durability is beyond the scope of my reviews. The rubber grip on the PhD Multi just felt a little thin to me and the triangular grip would tend to concentrate the wear pattern, which made me think about long term durability, so I took the unusual step of doing a bit of searching for feedback on shopping sites, etc. 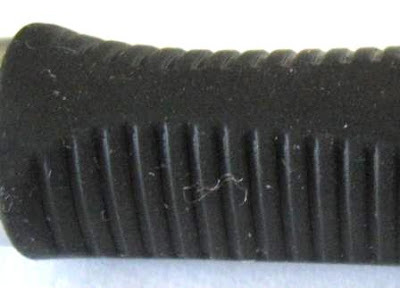 I wasn’t too surprised to find a number of commenter’s stating that the rubber grip stretched or loosened and came off over time. Peoples expectations of durability and life-expectancy are very subjective and highly variable, but there might be a bit of an issue with the rubber grip. But hey, I think there’s one problem or another with all rubber grips! Seriously though, no rubber grip is going to last as long as bare metal or a section of hard moulded plastic body, and I imagine the softer and squishier your rubber grip, the more prone it is to wear and tear. Everything’s a compromise; it’s just something to keep in mind. Right, let’s get back to writing with the PhD Multi. 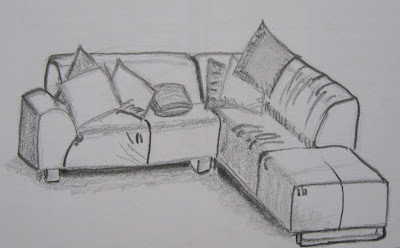 You select your desired tip by twisting the top half of the body to the left or right. This is not a continuous twist mechanism; in other words you cannot just go round and round. When you have reached the far left position you must then twist back to the centre position and on to the right position, and then back again, etc. 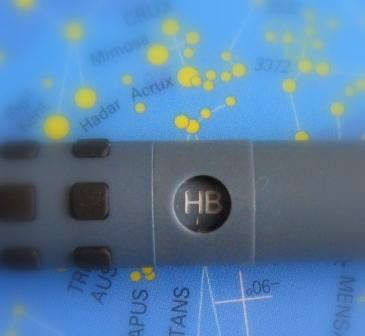 Coloured dots and a pencil tip logo indicate which tip is where. You twist to line up the desired tip indicator with the small depression in the silver centre ring. This depression is quite small and not particularly conspicuous, so you might need a second glance to locate it. The ballpoint pen tips write very well, with a nice smooth ink flow. They really do glide across the paper. The black ink appears good and black, and the red is a proper red. 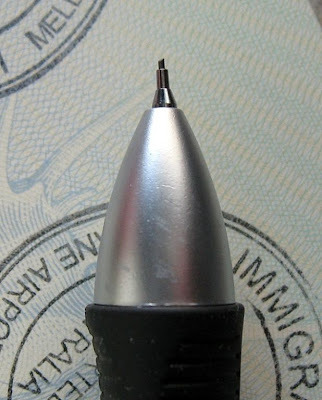 When the mechanical pencil tip is extended it is a short cylindrical lead sleeve leading into a cone. Of course the very nature of this type of multi pen mechanism means the writing tip extends out of the front section at a slight angle. 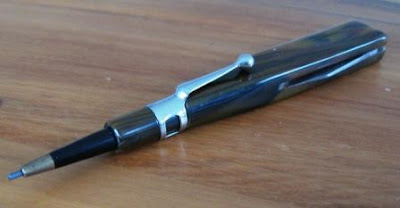 Remember the writing tip is on a long stalk which is just bent and thrust out of the front section when it is selected. I mention this because somehow this is the first multi pen that I have really noticed the axis of the mechanical pencil is not aligned with that of the pen body. You can see it is protruding out at an angle. This is normal with many multi pens, it’s just I don’t normally notice it, but somehow with the PhD Multi I did. 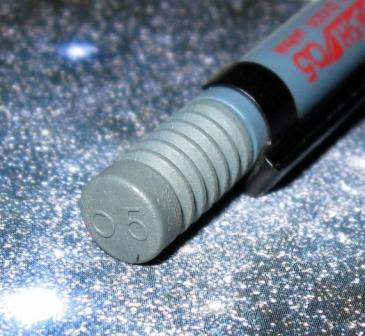 The mechanical pencil is 0.5mm lead diameter and operates as a push top button ratchet mechanism. 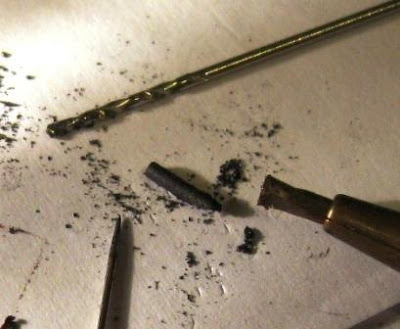 Ten clicks will get you about 6mm of lead. For a multi pen the push top action is quite light, easy and smooth, although it has a fairly long stroke on it as is common with multi pens. I often find that multi pen pencil tips are prone to more lead breakages than normal, but I didn’t notice that with the PhD. Refilling the pencil tip or replacing the ballpoint pen tips is done in the usual way. You carry on twisting past the end stop to unscrew the body and reveal the three tips, rip the empty tip out of its mounting and replace or refill. You can really only get one or two spare leads into the pencil stalk, and take care not to snap them when putting the pencil tip back onto it’s stalk. 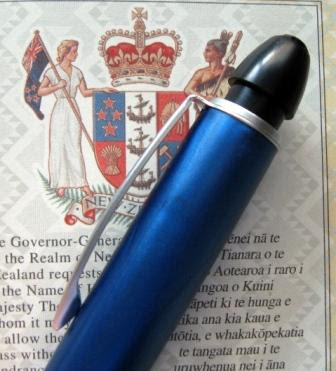 Markings on the pen are "PhD Multi" and "Papermate, Japan" on the barrel. Overall then, I’m reasonably impressed with the Papermate PhD Multi, and as a concept I think multi pens might be the way to go when travelling. Black ballpoint for filling out customs and immigration documents, pencil for a quick sketch and the crossword, red pen for a highlight – all came in handy at one stage or another. 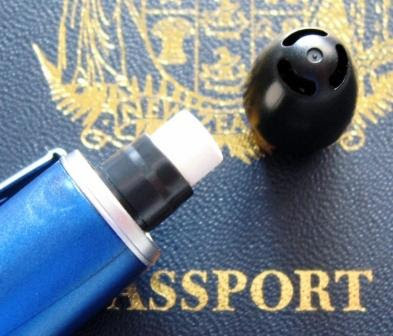 Not So Good Points – Eraser cap can pull off when pen is clipped to papers. Dimensions – Length 150mm, diameter 15mm at widest point. Balance point about 75mm up from the tip. After due consideration I’m going to officially take the P205 out of the Top 5, but give it an ‘Honourable Mention’, sort of making it an unofficial number 6. 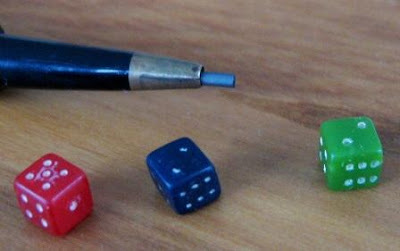 Just FYI, a couple of newish mechanical pencil related blogs you might want to check out. Both involve a Wes, although they are not the same person. I’ve been away overseas, escaping winter, watching kangaroos, avoiding snakes and sinking a few tubes whilst laughing with the kookaburra’s and contemplating the important things, like, “Just how much can a koala bear?”. In my absence this blog has been auto-publishing, but I got to a PC every now and then to release comments, although I haven’t really answered any questions, etc. Anyway, I’m back now, so things should soon return to normal. Here’s one of my photos I like, clickable for hi-res. I haven’t got a fancy camera or anything, and it’s taken from a (slowly) moving boat, but it’s turned out OK. 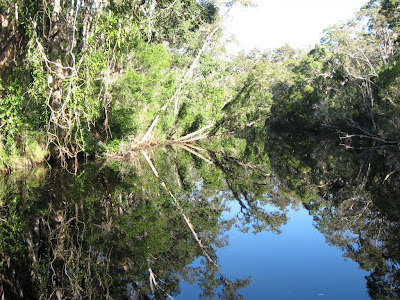 Reflection in the water of the everglades. The water is black, like black tea, full of tannins from all the tea trees. The ph is about 5, so no waterbirds and not many species of fish, but a quick dip does change you from a pale pasty winter-white into a bronzed Adonis. The water is kind of velvety, oily-smooth, which combined with the blackness gives some great reflections. The reflection in the water is actually better then the real thing. Here’s a recent acquisition, an oldie but a goodie. The body is plastic with wood grain colouration, the whole thing being about 12.5cm long, 2cm wide and 1cm thick. I envisage that the target market for this was the gentleman-gamer from the first half of the 20th century. 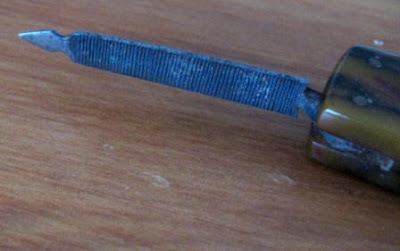 Pen-knife blade, about 4cm long. 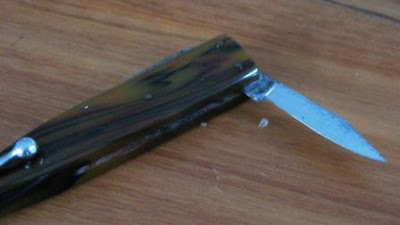 Nail file and cleaner tip, about 4cm long Entertainment, each about a 1/2cm cube. 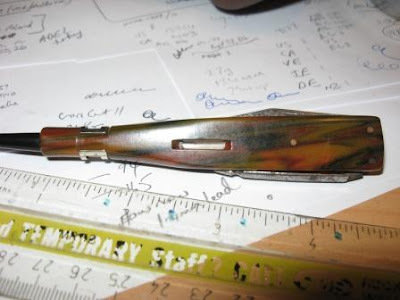 There are no markings anywhere except on the base of the pen-knife blade. On one side is “Made in Germany” and on the other is “Palmax, D.R.G.M., Solingen”. 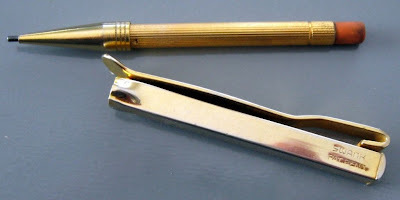 So we know it was made in Solingen, the heart of the German knife and cutlery industry. I believe Palmax is the brand, and apparently DRGM stands for "Deutsches Reichsgebrauchsmuster" which means "Utility patent of the 'Deutsches Reich'" and was a German patent and business protection mark from 1891 to WWII. The pencil is a twist tip screw mechanism as you would expect. As is so often the case with vintage pencils I couldn’t load a new lead because an old one was snapped off inside the lead gripper. 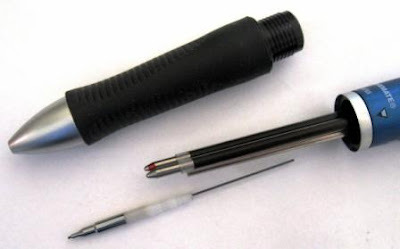 So, out with the maintenance kit – torch, magnifier, pin and 1mm drill. 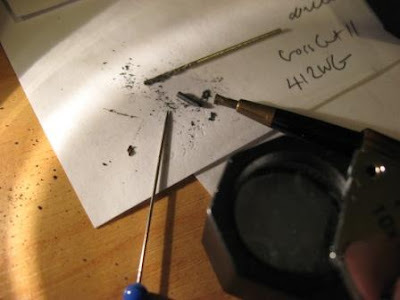 Luckily pencil lead isn’t that tough so you can usually easily chip away at and dig out the old stuck piece of lead with a pin or needle. The 1mm drill comes in handy if you have to go digging deep as you can usually drill and crumble the lead out from way inside the mechanism. In the photo you can see a decent chunk of old lead that I dug out of the gripper. I initially assumed this would be a 1.18mm pencil, but a I had a stick of 1.4mm lead handy and it fitted fine. It only takes short lengths of lead. All that graphite powder over my desk. Some people really are slow learners. 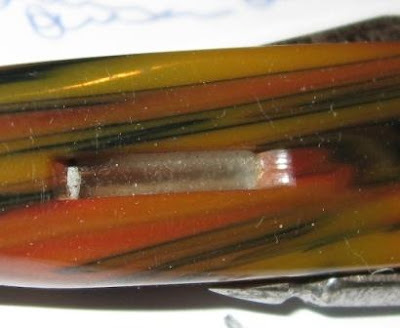 Now the other interesting thing about this pencil-knife is the little glass tube in the centre of the body. At first I thought, hey, wow, some sort of lift out Stanhope lens? Lift it out, stick it right up to your eye and be rewarded with an entertaining scene from yesteryear. Given the gentleman gambler theme, I imagined that the scene would probably be of the “bathing beauty” or “actress in dressing chamber” type as opposed to “idyllic rural countryside”. But alas, the glass tube appears permanently fixed, doesn’t appear to be a lens and I’ve got no idea what it is. It’s hollow, and down one end there are a few little bits that might be residual dried up liquid. A spirit level? Some sort of hourglass timer thing? I am completely flummoxed. Right, I’m off on a tangent here, but you know when you look back at the technology that took the Apollo astronauts to the moon and back, it’s unbelievably basic and outdated by today’s standards. I am always amazed that there wasn’t a lot more of smash and crash involved in the Apollo program. They flew to the moon and back but they would have been astonished at a handheld programmable calculator, let alone a mobile phone, MP3 player or heavens above, a laptop computer. They timed rocket bursts with the Omega mechanical watches on their wrists. Despite it happening 40 years ago, I’m tempted to think that the Apollo 11 mission is the greatest human technological achievement ever. What else even comes close to the achievement of sending men to walk on the moon? Now, whether you agree with it being the greatest technological achievement or not, just take a moment to reflect - those guys flew to the moon and back on a space-rocket which was designed in the days of drafting pencil and pen. No fancy design and drawing software for those guys, just thousands upon thousands of hand drawn blueprints. 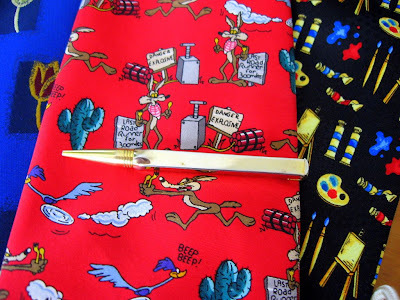 The heyday of the leadholder / drafting mechanical pencil and the technical pen. OK, enough of this flying off on a tangent, back to the real subject of this posting. The Smash Q1005 doesn’t have flashy or attention grabbing looks, rather it’s an understated but aesthetically appealing look. The knobbly grip of the Smash is probably its most visually striking feature, made more apparent by the plain smooth body and neutral greyish colour. Without a separate front tip section or completely different base for the grip section, the Smash tends to look more ‘one-piece construction’ rather than ‘assemblage of multiple components’. The black rubber grip bumps are quite proud of the surface and you certainly feel them under your fingers. I found this a little disconcerting at first, but quickly got used to it. It certainly is a superior grip, although I imagine the rubber bumps would wear over time. 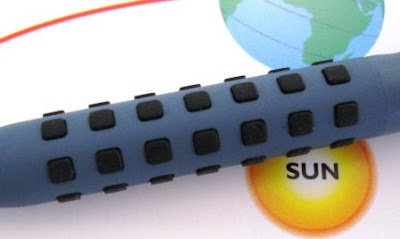 The rubber grip bumps also mean the pencil is reasonably anti-roll, but being a round grip zone you can hold the pencil at any place, and rotate at will. 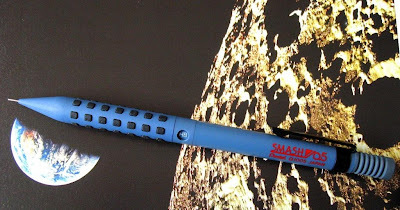 The Smash is a mainly plastic mechanical pencil so is relatively lightweight. 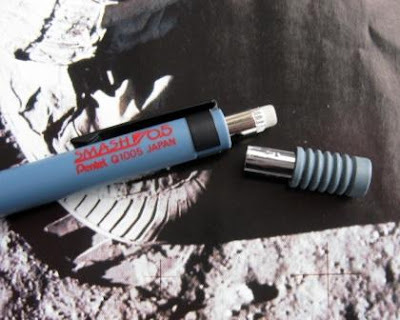 The lead sleeve is a fixed non-retractable 4mm long thin metal pipe. 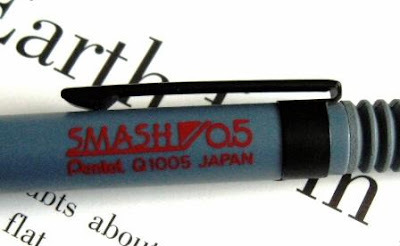 The Q1005 Smash mechanical pencil is a drafting mechanical pencil, beware the stabby end! Up above the grip section is a lead hardness indicator. You unscrew the grip a fraction to allow the window to rotate and expose the appropriate lead grade – 2B to 4H, including F. Up at the top end of the pencil is the push top button which has a concertina type shaft cover, another feature that I find visually appealing. Ten clicks of the mechanism will get you about 5mm of 0.5mm lead. This is on the shorter side of town, definitely allowing for precise dispensing of your lead. On the one hand I admire and like the precision of this lead advancement, but if you are using the Smash mechanical pencil to write with then you will probably be clicking away a lot more than usual. 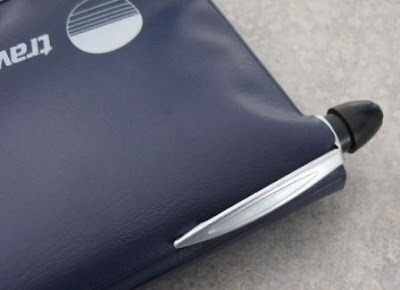 The pocket clip is a small plain matt black metal clip - firm and functional. 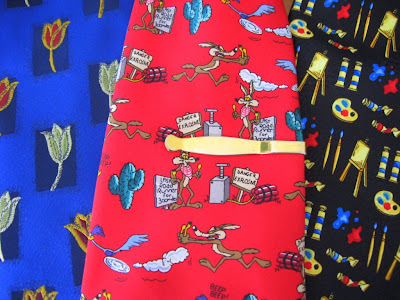 The top button pulls off to reveal a small emergency use eraser, but it has a lead clean-out rod attached. 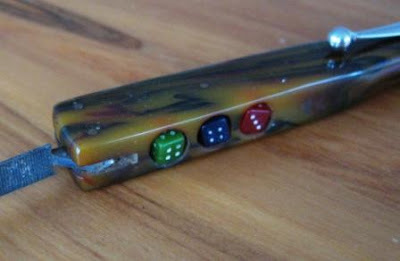 The eraser pulls out to allow access to the lead refill magazine. 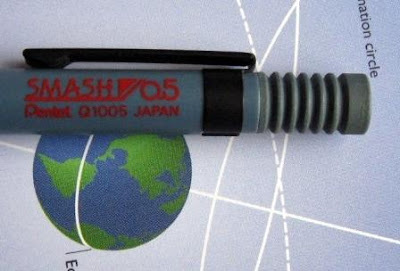 “Smash 0.5 Pentel Q1005 Japan” is printed on the body up towards the top. It’s quite difficult to see but “05” is moulded into the top of the push top button as well. Just for the record, the close up photos of the concertina push top button make it look a bit unappealing and do it a bit of a disservice - it looks better in real life. Overall then, this is a mighty fine pencil and deserves its status. Best Points – The grip, the retro-rocket looks. Not So Good Points – Stabby end. Does this pencil make it into the Top 5? – Phew, now we’ve reached the hard part. Lets take the Top 5 one at a time. 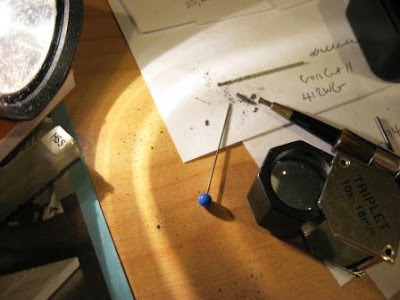 Pilot Vanishing Point – safe. 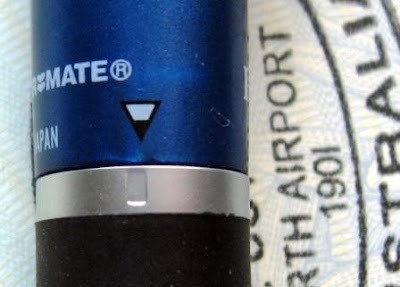 Pentel Sharp P205 – I can’t believe I’m saying this, but not safe. Tombow Oceanic – safe. 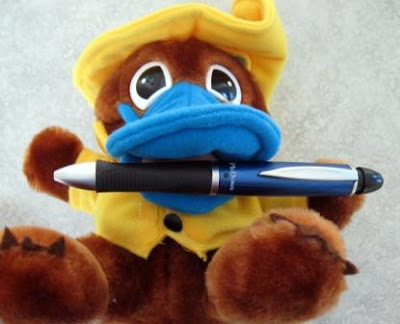 Pentel Graphgear 1000 – not safe. Pentel Flex Fit II PW35 – not safe. Right all three Pentels are up for removal. After careful consideration, the Flex Fit II’s grip keep it safe. So that leaves P205 and Graphgear 1000. By crikey, I can’t decide! To quote myself, The Top 5 is supposed to include “a variety, to having a representative range of pencil types and styles. It’s not the Top Five draughting pencils, or Top Five writing pencils, or...”. The P205 is the only “ordinary” or “normal” type draughting pencil of the 5 so to remove it is a big call. But then basically Smash is an ordinary drafting pencil too. Graphgear 1000 is a vanishing point and a bit flashy and has that document clip, so some unusual features. Gaaahh!, I really can’t believe I’m going to do this, but P205 is out and Smash is in!!! Dimensions – Length 138mm, diameter 9mm. Balance point about 65mm up from the tip. Just a little snippet from the WIMA (Writing Instrument Manufacturers Association) website. This association covers Mexico, USA and Canada. 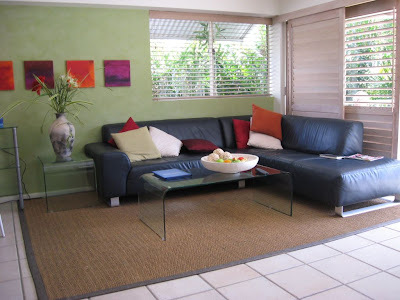 There are other WIMA's for other countries and areas, e.g. JWIMA, CWIMA. Wood Encased – 3.803 billion units shipped, $388 mil manufacturers sales value. Mechanical – 565 million units shipped, $652 mil manufacturers sales value. Colored – 707 million units shipped, $147 mil manufacturers sales value. So in North America that makes the average woodcase graphite pencil US 10.2 cents, and the average mechanical pencil US $1.15, at manufacturers invoiced value. So many questions. I guess the figures of non-WIMA companies are excluded? Also, whats a "unit"? Is a three-pack of wooden pencils in a hang-sell polybag one unit or three?